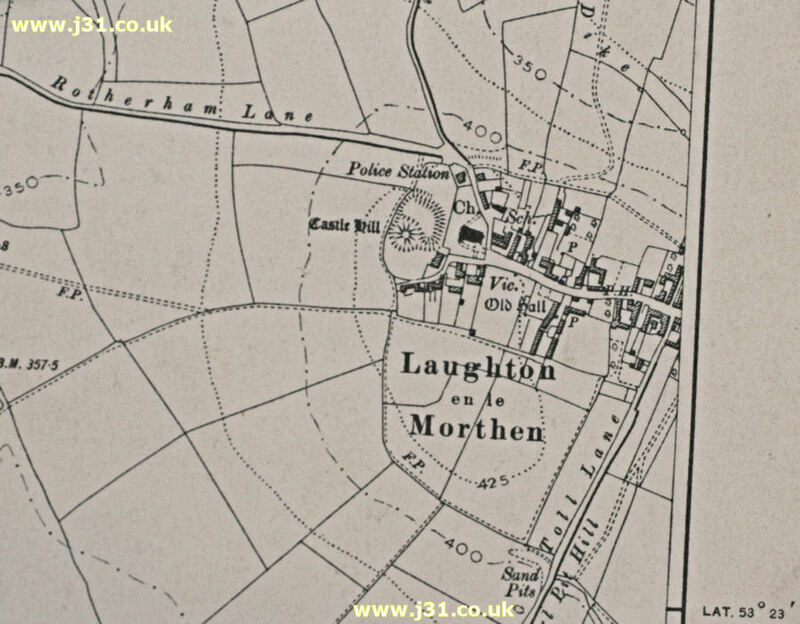 This is a map of Laughton-en-le-Morthen in 1905. It's taken from a map of the watershed of Ulley Reservoir by Rotherham council. Laughton is right at the ege of the map and half of it is chopped off. However, the magnificent Anglo Saxon church, and the site of the old timber and earth walled fort are clearly marked (Castle Hill). There are few houses, as none of the 20th century building boom had occured yet.